Singapore had seen several $2 stores popping up, hoping to take a chip of incumbent Daiso’s market share. We had seen Tokutokuya, Mijyi and Nomi Japan, each with similar implementations but not to that the scale of Daiso. Until now. Come Komonoya Osaka Japan $2 store. It is a store based on the similar “dollar store” concept hawking low-cost Japanese everyday items. Furthermore, a pleasant surprise is that Komonoya simply popped up from nowhere right in the NTUC Fairprice supermarket I frequent. The branch I am looking at in particular is the Fairprice “Extra” branch in Bukit Merah central. 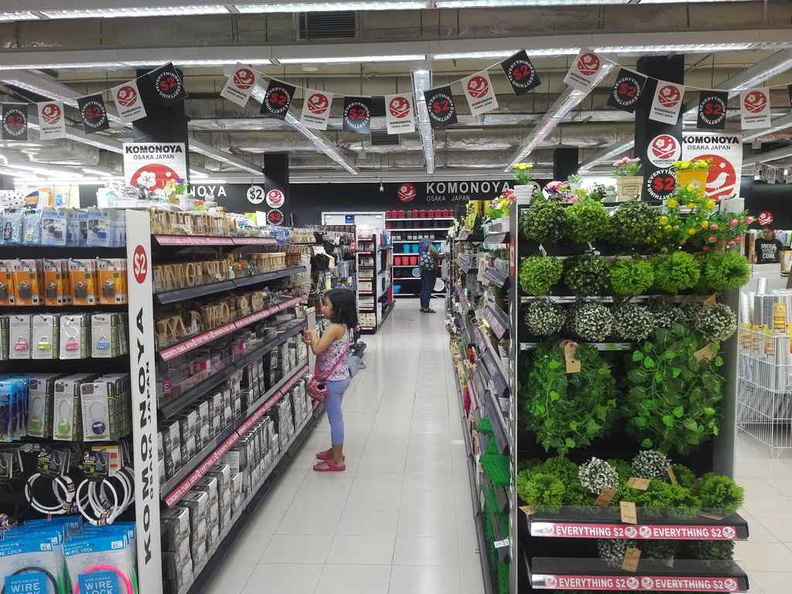 There are also similar implementations in other Fairprice “Extra” supermarkets, such as AMK hub, Changi Business Park and the Fairprice Warehouse Club. Komonoya section in NTUC extra branch. Komonoya occupies a sizeable sector in the supermarket existing floor area, usually spanning space up to 8 shelf aisles. I recalled at this NTUC Fairprice store sector was closed over the past month for renovations and inventory reshuffling. Additionally, it looks like some sort of a partnership through Fairprice to bring affordable Japanese branded products right in the grounds of your local communal supermarket. 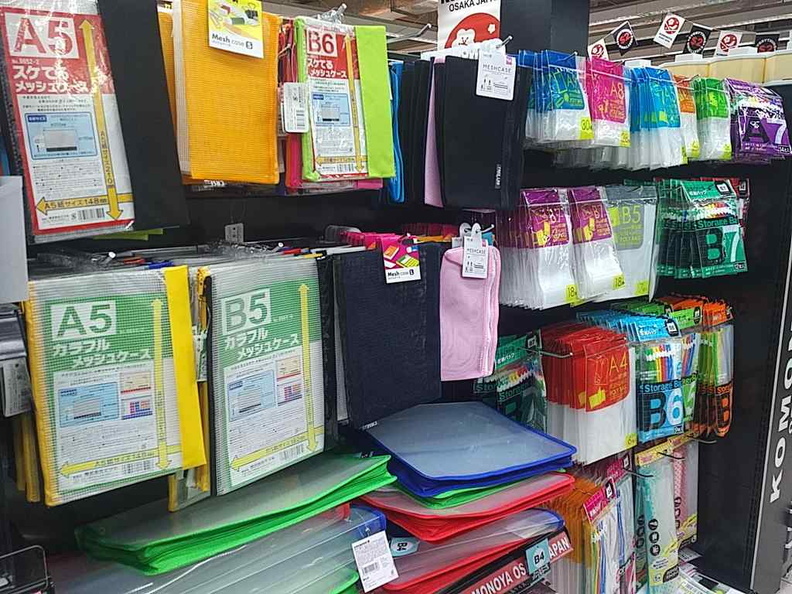 To most shoppers like myself, being introduced to the $2 per item analogy, we will be quick to make comparisons to the Japanese value store we come to adore over the years (yes, you are thinking Daiso). But this is no heartland value mart or Japan home outlet. Additionally, everything here is similarly priced at $2. 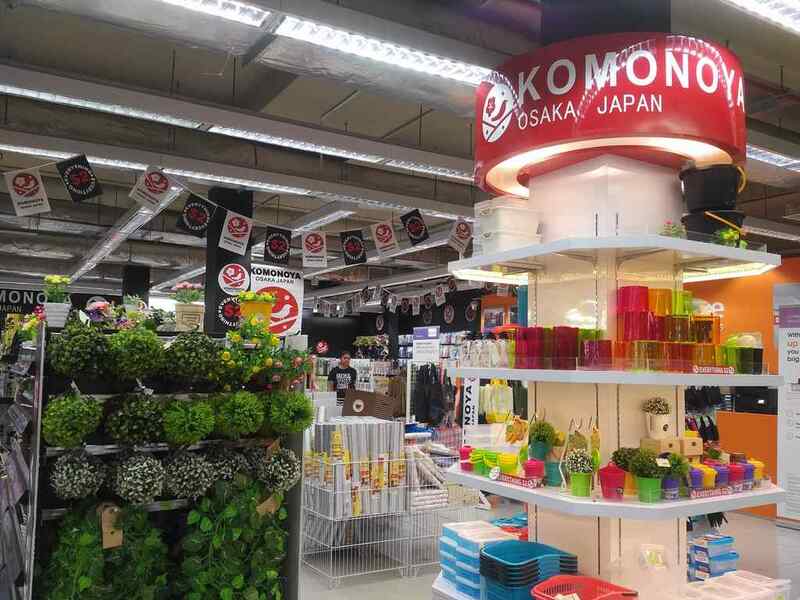 I found Komonoya market strategy commendable, particularly their attempt to take on the incumbent Daiso Singapore. They do this by entering the market right into the heartlands via NTUC outlets. This makes their products more highly accessible to communal heart landers who would otherwise have to make a trip to their nearest mall for their $2 fix. 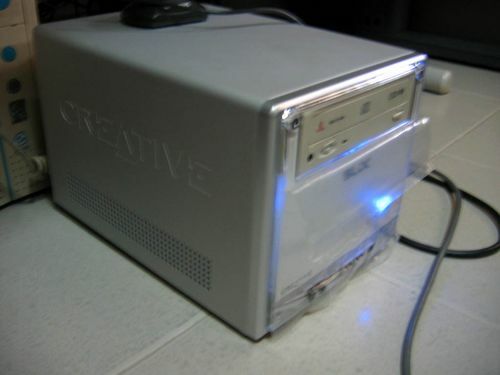 More value for your $2? Komonoya store claims that they are from Osaka Japan. They are going too on Daiso’s tried and tested methodology of selling budget and value items for a flat $2 rate. Moreover, this is an interesting proposition considering that Daiso in Japan operates very differently in their homeland, with each store item having a distinctive different pricing each. With the dollar store equivalent being the 200 yen store for instance. 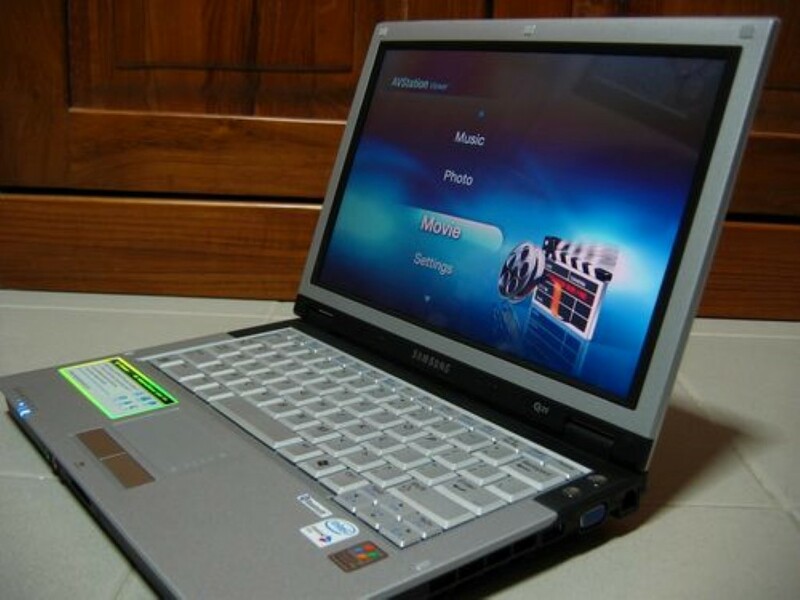 Moreover, here, you can find DIY hardware sections, bags, clothing and clothing accessories. Socks, underwear and even hats, belts and glasses all go for $2 each. Their items are trendy and appeals to a large age-demographic of shoppers. Additionally, the store seems to have everything else covered. We have kitchen wares, garden wares, stationery, electronics hardware, as well as novelty and gifts. After a walkthrough the various aisles, dissecting what is on sale, I noticed that you do get more value for your $2 spent. It was a welcome to see a couple of items, such as cutlery set, hooks, bags and travel-sized bottles bundled as a set for the same $2. 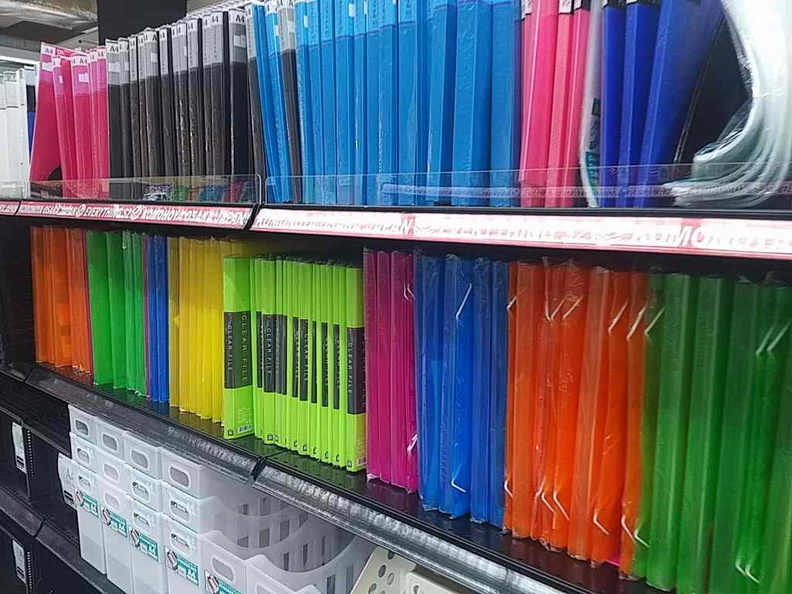 Equivalent items are sold individually at Daiso. You do seem to get more bang for your buck here. There are a couple of new items on sale. New items includes a larger variety of plastic ware storage boxes. 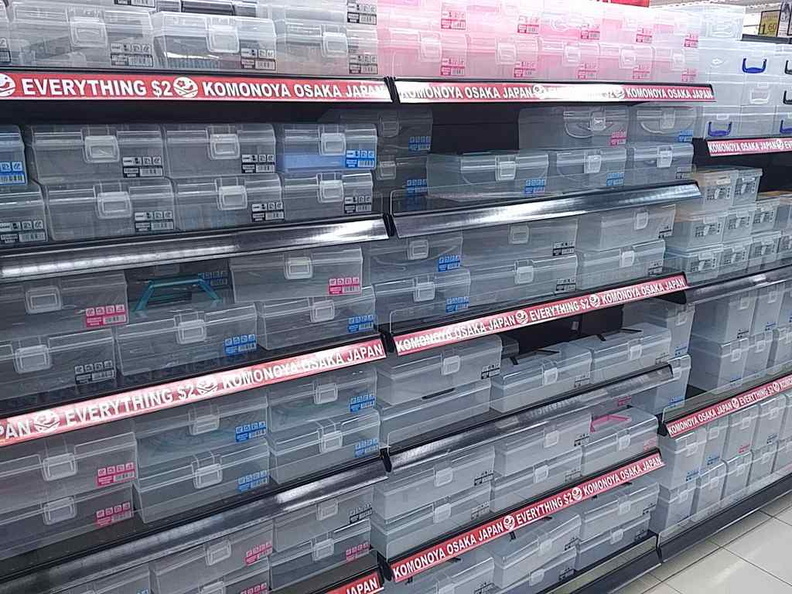 I found that you are able to find larger sized boxes here, contrary to Daiso offerings. 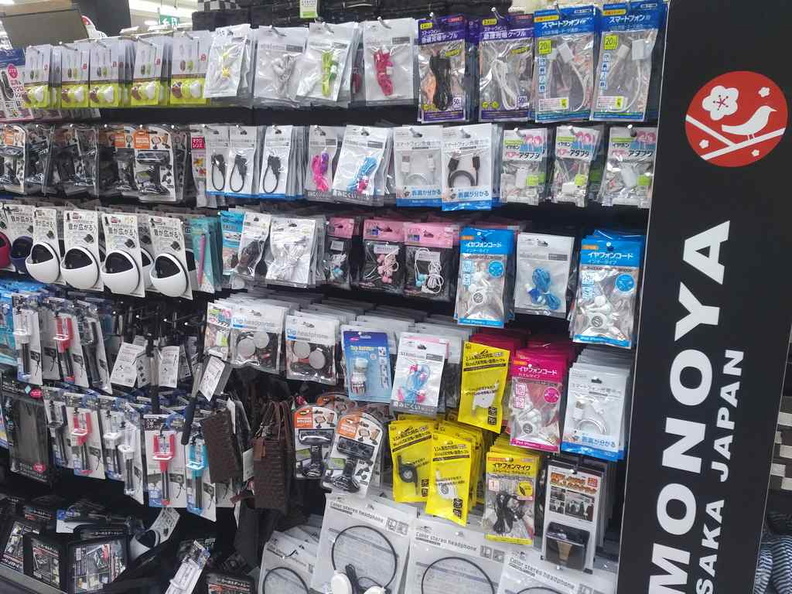 Moreover, the electronics section spots a large assortment of high quality 50cm fast-charge USB cables. These typically retails upwards of $6-20 in handphone shops. I found the quality of the items are on par to the current offerings at Daiso, and at times, surprisingly, even better. Other than, most of the items on sale are actually carbon copies of what Daiso has. The plates, stationery and plastic ware acrylic display cases are nearly exactly like the ones you find in Daiso. During my visit, the store sector is still relatively quiet. Store patrons like myself who ended up wandering in were mostly caught by surprise of the new NTUC section. Mostly coming in to explore out of curiosity. Stationery storage, files and office storage section. Komonoya shares the same shelf space as regularly priced NTUC items. Their items on sale are clearly labeled with red lined “Komonoya $2″ shelves. The items bearing no individual price tags, while typical NTUC items will have an LCD shelf price tag in place. I find the real advantage of Komonoya are their payment options. Where Daiso restricts payment using only cash or nets. You can leverage on the payment options in the NTUC supermarket, including paying using Visa. Furthermore, you are also able to collect NTUC link points with your Komonoya purchases. All in all, I find Komonoya a nice addition in the market for everyday items. I personally like it much more than Daiso, mainly because it is not as crowded and rowdy. Also, the sizable variety of goods offered can be a substitute to Daiso offerings. I can see the main competition being HDB heartland value-marts. Moreover, this will see me reducing the need to shop at Daiso for items which can otherwise be purchased here. Though whether it will be seen as a Diaso killer, only time will tell. Still, Komonoya is nowhere near the store size and sheer variety of items offered. But it is still a step into giving consumers greater market choice of cheap Japanese-branded everyday items. 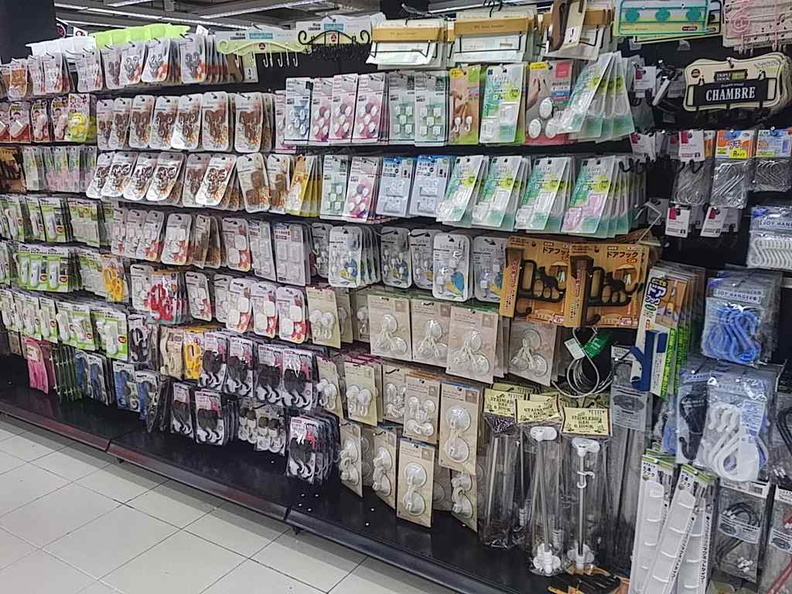 Daiso had long maintained their position as the sole provider of Japanese dollar store items. Though we won’t be expecting any price competitions or comparisons, it is still a unique market segment largely untouched in Singapore, until today. I am sure, I will be back for more.